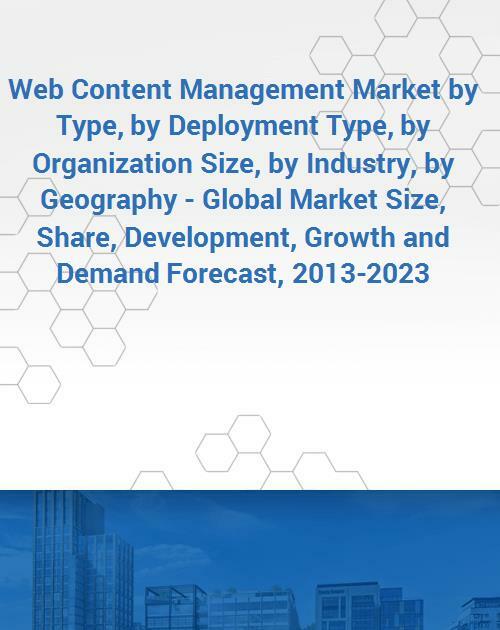 The web content management market in APAC is expected to record fastest CAGR during the forecast period, on account of growing e-commerce industry in countries like China and India as well as increasing number of internet users in the region; wherein India is predicted to be the fastest growing WCM market, globally, during 2018-2023.Initiatives taken by the Indian government such as “Digital India” campaign which was launched in 2015 would support the market growth. Organizations are predominantly focusing on enhancing web-user experience and customer relationship management. Moreover, SMEs in the region are also increasingly adopting WCM solutions to compete with large enterprises. The intensity of rivalry among players in the web content management market is moderate. In the recent past, product launches, partnerships, and client wins have been the major activities in the WCM market. SDL plc, a key player in the market has been focusing on partnerships and collaborations to strengthen its market position. OpenText Corporation, another key player is winning contracts related to content management solutions. While, Adobe Systems Incorporated and Sitecore Corporation are other key players focusing on these developments. Some of the other key players operating in the market are Oracle Corporation, International Business Machines (IBM) Corporation, Open Text Corporation, Adobe Systems Incorporated, SDL plc, Acquia Inc., Episerver Inc., Microsoft Corporation, Episerver Inc., and Rackspace US Inc.